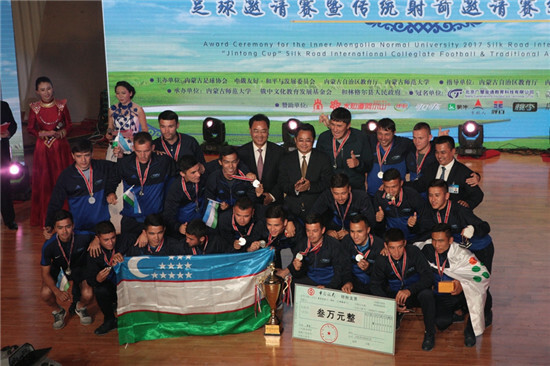 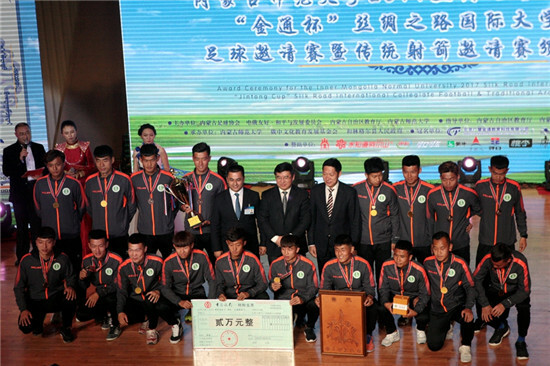 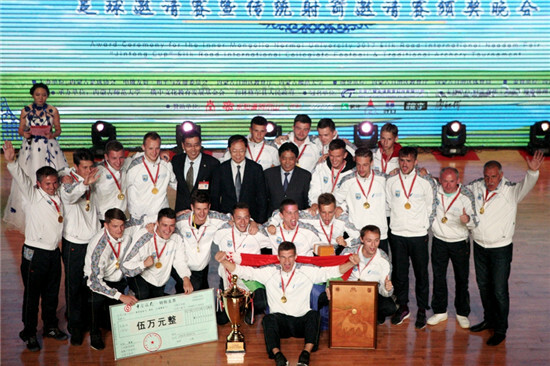 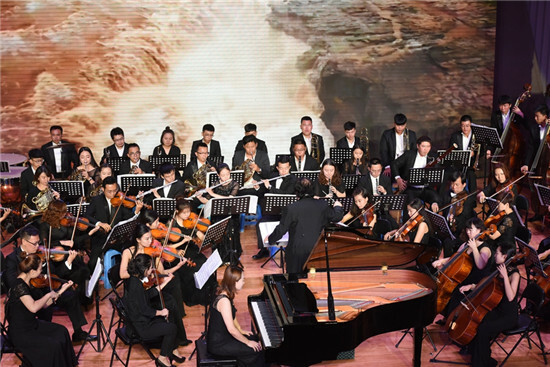 The one-week "Jintong Cup" Silk Road International Collegiate Football Invitational Tournament held at Inner Mongolia Normal University (IMNU) was closed on Sept 27, with an awards ceremony. 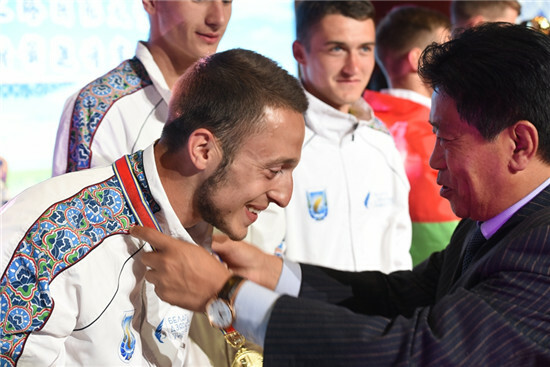 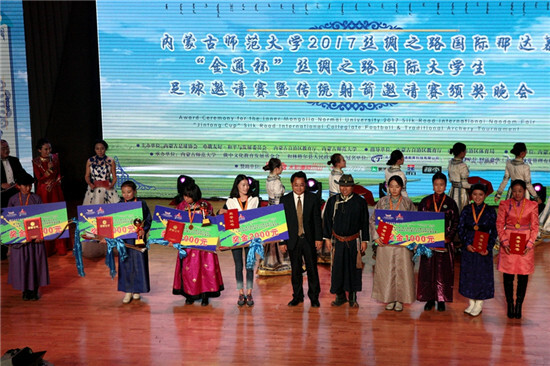 Belarusian State University won the top prize, followed by Uzbekistan Tashkent State Normal University, IMNU and Inner Mongolia University. 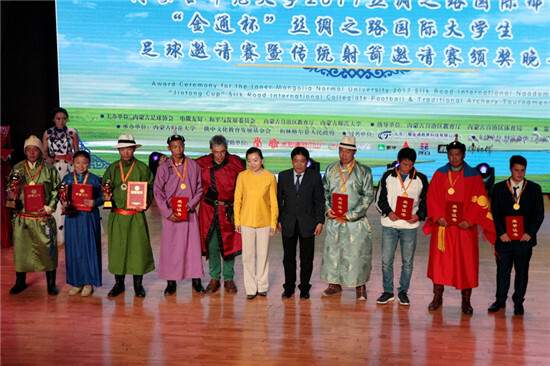 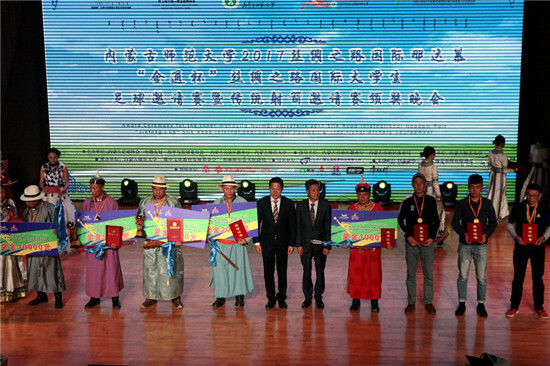 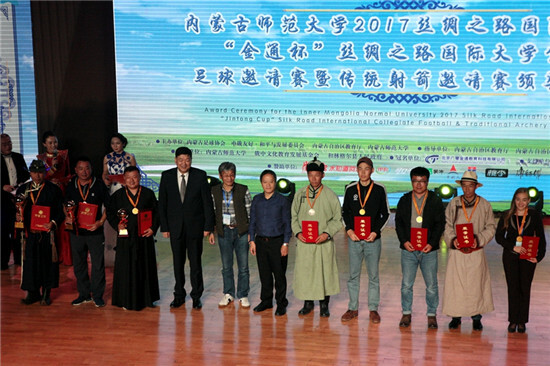 Archery, another event of the 2nd China-Mongolia Expo and 2017 Silk Road International Naadam Festival, was concluded at the same day, with top three awards given to Inner Mongolia University, Inner Mongolia Medical College and Inner Mongolia Agricultural University. 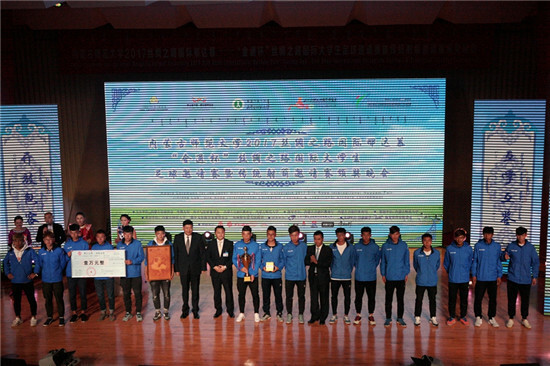 IMNU ranked fifth with a score of 647.